"I don't owe a response to unsolicited requests from men with bad intentions," Ocasio-Cortez, the Democratic candidate for Congress in New York's 14th District, wrote. "And also like catcalling, for some reason they feel entitled to one." 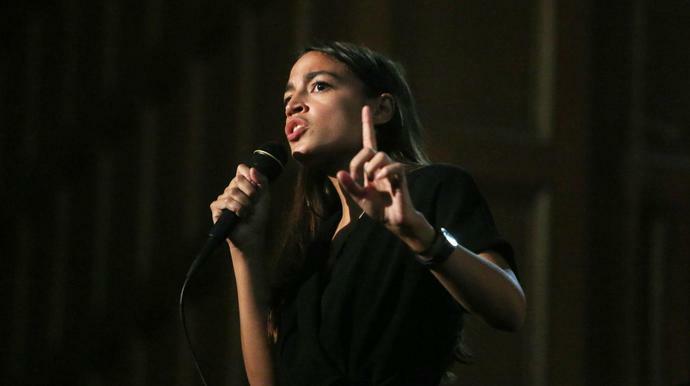 Her comments came after Ben Shapiro, a conservative commentator, challenged Ocasio-Cortez to a debate and offered her campaign $10,000 if she participated. Shapiro, called a "provocative gladiator" by The New York Times, has embraced deeply conservative views and built his image as a millennial firebrand. "Miss Ocasio-Cortez, I'm really excited that you've been elevated to that position and I would love to have a real conversation with you about the issues," Shapiro said in a video invitation on Twitter. "You've noted that you think Republicans are afraid to debate you or talk to you or discuss the issues with you. Not only am I eager to discuss the issues with you, I'm willing to offer $10,000 to your campaign today for you to come on our Sunday special." Shapiro fired back at Ocasio-Cortez following her tweet on Thursday, saying "slandering someone as a sexist catcaller without reason or evidence does demonstrate cowardice and bad intent." "I'm sure your media sycophants will eat it up," he concluded. Ocasio-Cortez, 28, won a stunning victory over 10-term incumbent Rep. Joe Crowley in the Democratic primary in June. She's campaigned on several major progressive promises, including "Medicare for all" and the abolishment of U.S. Immigration and Customs Enforcement.